Over 1,700 athletes, coaches and fans convened in Los Angeles earlier this month for the 2012 AGBU World Games with participants hailing from all corners of the world. Read the full press release here to get the exciting play by play of the entire week! Saturday night, August, 4, 2012, saw over 1,700 AGBU athletes, coaches, family members, fans and supporters from over a dozen global cities gather together at the amazing Universal Studios for the sold out AGBU 2012 World Games Victory Ball – the culmination point during a week of exciting athletic competitions and social activities that once again reinforced the strong bonds among our organization’s youth. A press release is coming soon to detail all the highlights and fun moments from the games and gatherings, but enjoy these photos in the meantime. Congratulations to all our athletes and a special note of thanks to the incredibly dedicated volunteer committee who made it all happen! While the 2012 Summer Olympics continue to unfold in London, in another great city across the ocean, AGBU’s own star athletes have hit the ground running as the 2012 AGBU World Games officially got underway. 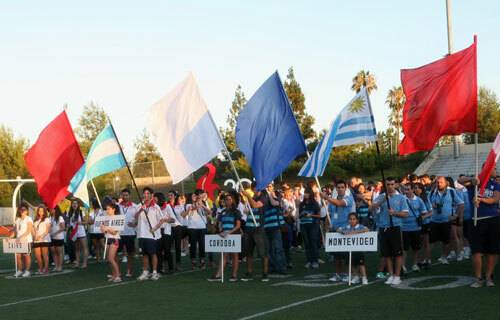 On Friday, July 27, 2012, over 500 participants, family members and friends, hailing from countries such as Argentina, Australia, Brazil, Canada, Egypt, France and the US, arrived in Los Angeles, California. 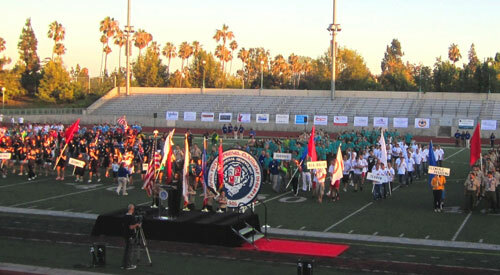 The stands at Robinson Stadium of Pasadena City College were brimming with enthusiastic spectators yesterday during the Opening Ceremony of the 2012 AGBU World Games. 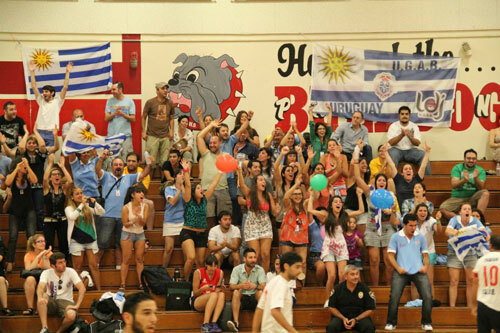 Teams from Alexandria, Buenos Aires, Cairo, Cordoba, Montevideo, Montreal, Paris, Pasadena, Sao Paulo, San Fernando Valley, Sydney and Toronto marched in with their respective country’s flags, ready to compete against each other this week during basketball, volleyball, soccer and many other tournaments. May the best AGBU team win! More photos and stories coming soon. Over five hundred young athletes from around the world are heading to Los Angeles next week as the countdown draws near for the AGBU World Games. 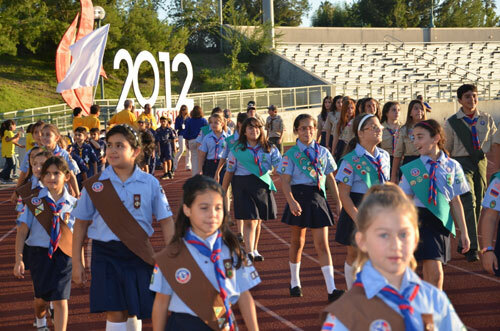 Set to begin on Saturday, July 28, 2012, the event promises excitement and thrills both on and off the court, as the organization’s youth take part in various sports competitions, social events and excursion tours as part of an AGBU tradition that dates back to 1955. 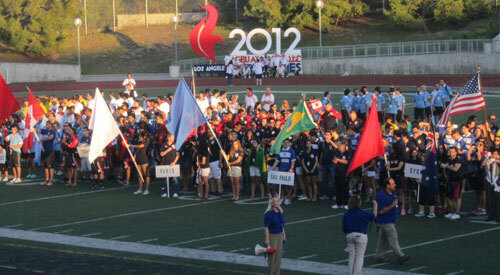 The World Games’ week-long series of activities will kick off at the opening ceremony on Sunday, July 29, 2012 at the Pasadena City College Stadium. 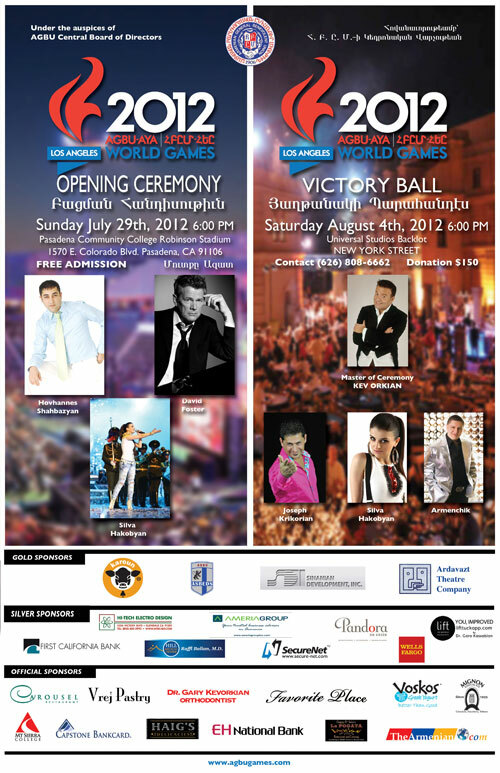 There, Hollywood actor David Foster, as well as Armenian singers Silva Hakobyan and Hovhannes Shahbazyan, will take the stage and welcome participants, who are traveling from Argentina, Australia, Brazil, Canada, Egypt, France, Uruguay and the United States. The event, which is free and open to the public, is expected to draw thousands. In the days that follow, the athletes will compete in basketball, chess, soccer, swimming, track and field and volleyball, relying on skills they’ve developed throughout the year with their local AGBU Chapter teams.